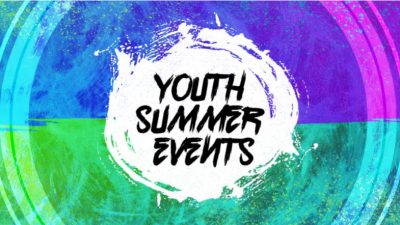 Shepherd of the Hills > Events > Upcoming Events > Summer 2019 for Children & Youth! Mark your calendars to save the dates for these exciting opportunities! June 23-28: Join us for our first Youth Mission Trip in the summer. All current 6th – 12th grade students are welcome. We will be in Taylorsville NC where we will serve and learn about the strengths and struggles of marginalized rural populations. We can no longer guarantee a spot but if you are interested please let us know and we will work to secure a spot for you. Financial assistance is available. July 8-12: Another exciting week of Vacation Bible School for ages 4 years old through rising 5th graders. There are opportunities for all to serve. More details coming soon! July 14-19: Summer Camp at Caroline Furnace campers can expect a week packed with fun! Open to those in first grade to 18. Swim, canoe, fish, creek walk, play small and large group games, challenge yourselves on low ropes course, hike, cook over a campfire, create crafts, learn archery, gain culinary skills, and explore the furnace ruins on camp property. Pastor Darcy will be present all week serving as chaplain. Visit the Caroline Furnace website at www.carolinefurnace.org for more information and registration. Please contact Pastor Darcy at pastordarcy@sothva.org or the Church Administrator at admin@sothva.org with any questions.